Protectionism does not really help preserve jobs and offers little defence against the job-destroying effects of automation and Artificial Intelligence, Former Reserve Bank of India Governor Raghuram Rajan has said, asserting that industrial and developing nations cannot afford to ignore the democratic reaction from those left behind by globalisation and technological change. Delivering the keynote address at the 2019 ECOSOC Forum on Financing for Development at the UN Headquarters on Monday, Rajan said the open liberal democratic market system that brought the world enormous prosperity in the six decades or so after the second World War is now under attack. Interestingly the critics are not the usual radical academics or leftist leaders, instead they come from some of the most prosperous nations in the world. These are nations that have benefited tremendously from the open world order, he said. Rajan, the Katherine Dusak Miller Distinguished Service Professor of Finance at the University of Chicago Booth School of Business, said, We know that protectionism does not really help preserve jobs. In this competitive world, jobs gained by a country in the protected sector are often lost in other sectors that are now rendered uncompetitive because they pay higher prices for inputs. He added that protectionism offers little defence against the job destroying effects of automation and Artificial Intelligence, which often are the larger source of job losses. The only guarantee against redundancy is to help the workforce stay ahead through constant retraining. As populations age in industrial countries, more of them will become reliant on foreign demand from younger countries outside, especially developing countries and emerging markets to boost growth, he said. Is it wise to block imports today from the very countries you will have to export to in the future? Probably not, he said. Rajan said that while nations recognise the cost of protectionism, it is true that we cannot afford to ignore the democratic reaction from those left behind by globalisation and technological change. This should be true both of industrial, countries and developing countries. We have to pay more attention to those left behind. He added that if concerns of these people are to be addressed while preserving an open world, we should start by recognising that the globalisation of trade and investment flows has disempowered people and their communities. The ECOSOC Forum on Financing for Development follow-up (FfD Forum) is an annual platform to promote consensus among key stakeholders on financing for sustainable development. Ministers, senior UN officials, high-level finance officials, civil society, business representatives and local authorities, are meeting at UN Headquarters for the four-day FfD Forum, which will run from April 15 to 18. Rajan told the audience at the forum that there is a need to preserve a world open to trade and investment but we need to keep democratic support in order to do it." I would argue that we must follow the principle of subsidiarity much more strictly going forward. Decisions should be taken at the lowest level consistent with effective governance. These decisions must be taken with an idea of cooperation, they must be taken responsibly given the spillovers both to the country as well as to the rest of the world, he said. 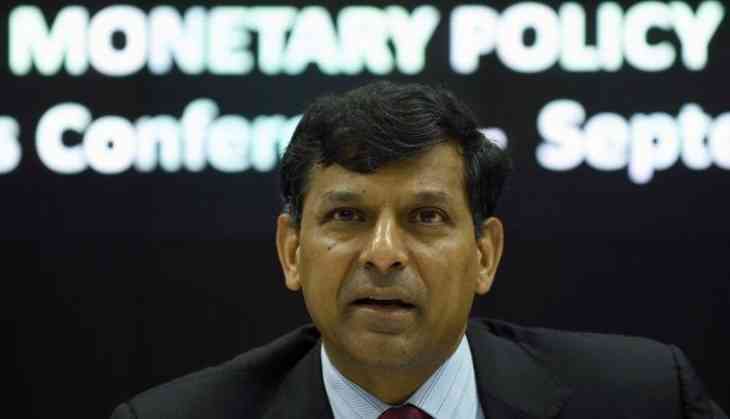 Given the very different impact of globalisation across countries and within countries, Rajan said we must create more room for countries to choose their unique way of coping and countries themselves will have to further decentralise power so that differentially affected communities can chalk out their own paths. This is as much a developed country problem as a developing country problem. To conclude, globalisation of markets may paradoxically require far more localization of governance. Rajan stressed that emerging markets and developing countries will have to take much more responsibility in the fight to keep the world open. To have a chance of succeeding though, the disparate effects of globalisation and technological change both within and across countries would have to be managed much better, he said. He further said that there may be even need to contain some aspects of globalisation in order to preserve an open world. "For many decades, we in the developing world were told that we should join the global trading system and be open to foreign direct investment. While we recognise this would affect some of our people adversely, we were pressed to see this as an inevitable cost of development. Perhaps because democracy was still nascent in our countries, we implemented this advice overriding domestic opposition wherever it emerged, he said. While global trade and investment and global competition more generally has enhanced prosperity in many of the countries, the rising tide has not lifted everyone. Studies show that in trade-affected districts in India, the incidents of poverty were relatively higher as was violent crime and property crimes. Rajan stressed that the reality is that trade while typically beneficial overall, has a distributional impact creating winners and losers. This implies we have to work harder whether in developing countries or industrial countries to help the affected adjust. It is not however a license for protectionism. Unfortunately that is indeed what we see arising in parts of the industrial world," he said.